Here’s a fairly common problem we run in to on some guitars, even Fenders. 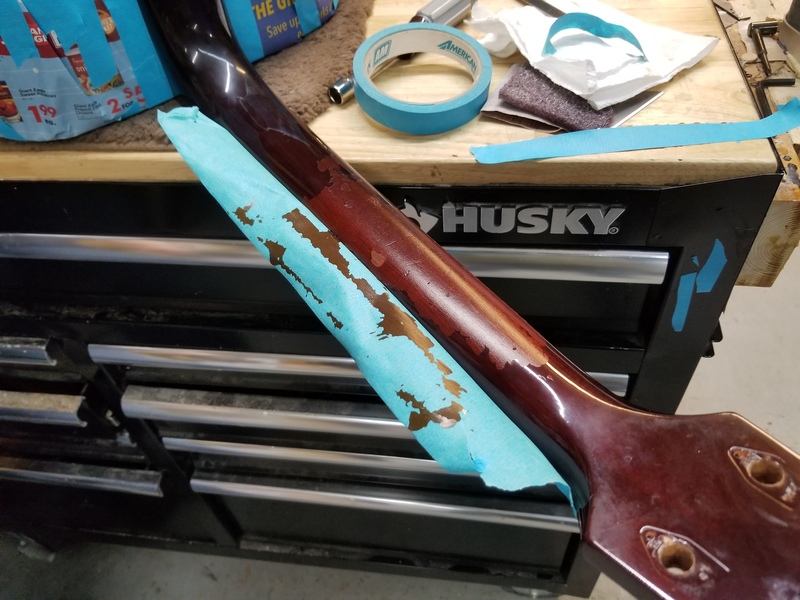 When masking off to work on the fret board, you sometimes run in to a problem between the sealer coat and the top coat and the finish will tend to pull off. This photo shows how the guitar came in to us with this problem. 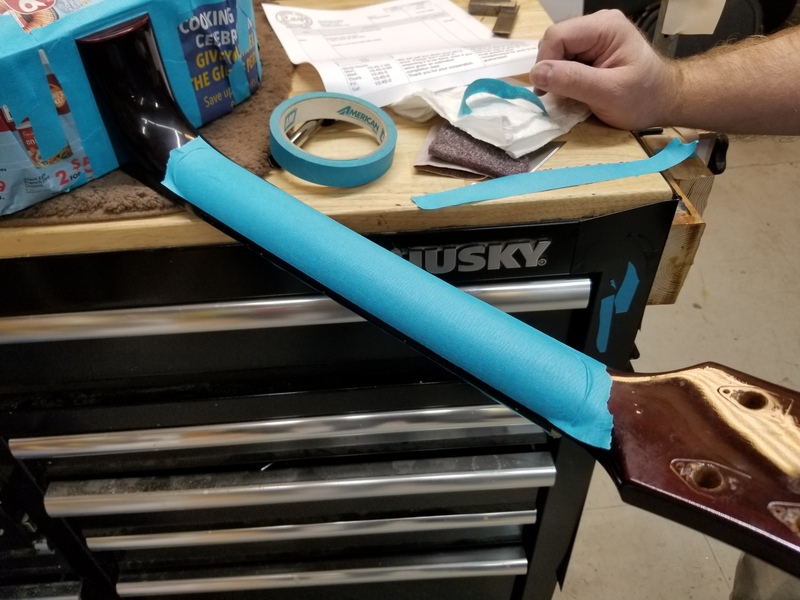 This is after laying on some tape. 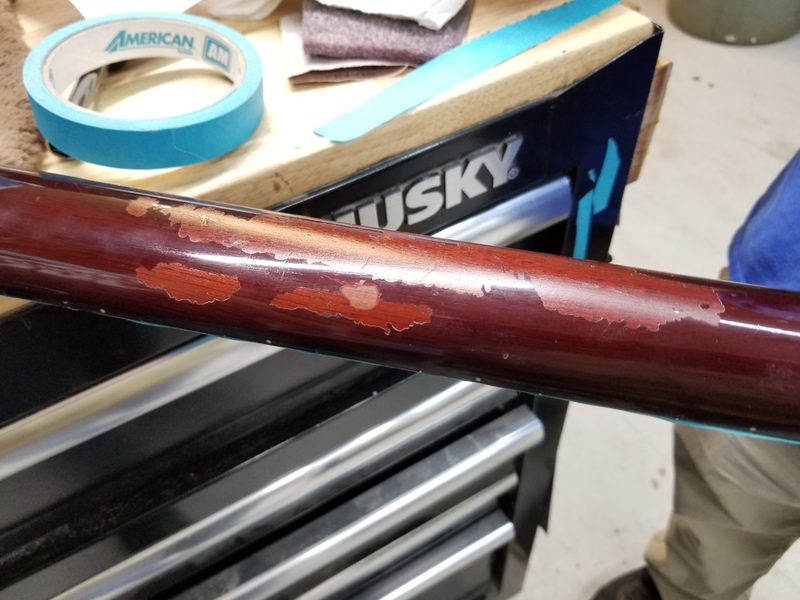 Here is the result after pulling off the tape.